Read for the Record, presented in partnership with the Pearson Foundation, is the annual event when millions of individuals come together to celebrate literacy by breaking the world record for reading the same book on the same day. 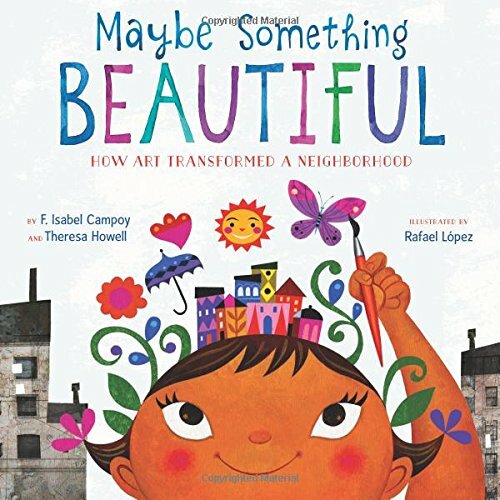 The ELC of North Florida is providing every center in Clay, Nassau, Baker, Bradford, Putnam and St. Johns with a FREE copy of “Maybe Something Beautiful” along with a packet of activities to do along with the book. (There is a 2 book limit per school or Family Child Care.) For School Districts ELC can provide 1 book for each pre-K/VPK class. To get your center’s book and packet you must RSVP by phone or email by Tuesday, October 9th to Joan Whitson, Early Literacy Coordinator at 904-342-2267 ext. 202 or jwhitson@elcnorthflorida.org. A member of ECS or ELC staff will personally bring it to you or it will be mailed. In your email include your center’s name, contact person, address, phone, email, number of books and the number of children to whom you will be reading. Joan Whitson will be submitting the totals from all of our centers to Read for the Record after the event. Included in the packet we give you will be a World Record Reading Certificate for you to copy and give to each child. They can be downloaded from the campaigns/events link above..